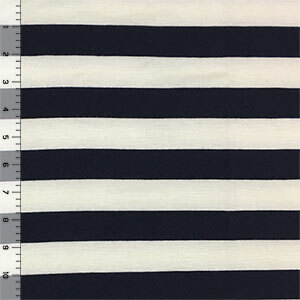 Super soft and stretchy basic deep midnight navy blue and light creme stripe cotton rayon spandex blend knit. 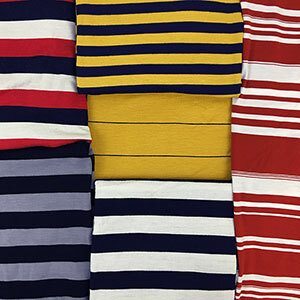 Fabric is lighter to mid weight, with a 4 way stretch. Stripes measure 1" (see image for scale). 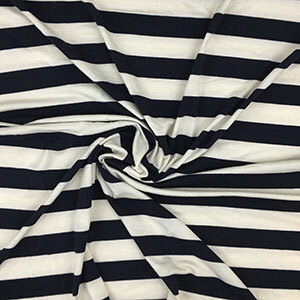 A versatile fabric that is great for dresses, tunics and tops, leggings, and much more!